With much of the warehouse industry moving into a digital and online supply space, industry leaders are realizing the importance of streamlining their shipping processes and how to keep the costs of shipping and deliveries as low and consistent as possible. Unfortunately, working with many different shipping carriers, prepping packages for mail delivery, learning the systems of different customers for delivery and properly generating the labels is not only time consuming but can also leave room for user error. Many industry leaders not only lose money each month on their shipping processes but they do not have a solution either! That’s where Printronix has revolutionized the industry with the help of their T6000, and T8000, series! The T6000 and T8000 printers include Printronix’s exclusive Online Data Validation system (ODV) which eliminates compliance fees and includes a verifier for 100% barcode validation! ODV recognizes when a bad barcode is printed or illegible, and strikes through the bad barcode and instantly reprints the label! 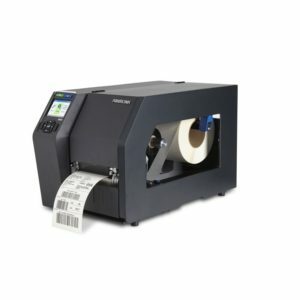 Not only does the implementation of ODV virtually eliminate bad barcode labels, but it also saves industry leaders thousands of dollars in return shipping costs! Avalon Integration has been providing the highest quality support across industries for the last 20 years. The key to our longevity is in our commitment to customer service, partnerships with quality brands and industry expertise. As broad as our client list is—from the U.S. Department of Defense to over 50 of the Fortune 500, to numerous small businesses—the same guiding principle remains the same: improving efficiency. Find out more about what you can accomplish with the Printronix T6000 and T8000 series printers. Contact us today.